Inside mounted shutters mount inside the window casing, and do not cover the window molding. Outside mounted shutters are mounted on the wall and cover the window molding. Cafe style plantation shutters have a frame that is drilled into the recess of the window opening. Instantly transform the look and feel of your home with high quality, durable, sophisticated window coverings. No matter if you know them as plantation, traditional, or California shutters, here at Select Blinds, we have something for every style and budget. Our interior faux wood panels are hinged to either side of the window. This allows you to swing open the panels to access the window. All of these coverings have operable, moveable louvers, so you can control the amount of light coming through and your privacy. Choose from three louver sizes ranging from 2 ½” to 4 ½”. Smaller louver sizes are commonly used for doors and smaller windows. The mid-range size, the 3 ½” louver, is the most popular. The larger sizes provide the best view outside when the louvers are open. If you have a great view, choose the 4 ½” size. 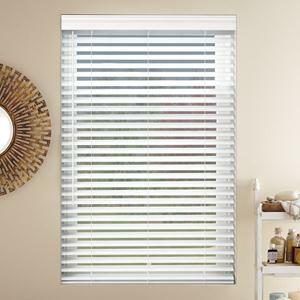 A traditional framed blind has an exposed vertical tilt bar in the middle of the panel. When people think of these types of window coverings, this is generally how they picture them. This classic style is beautiful and historic. If you prefer the classic style with the exposed vertical tilt bar, try our Signature Faux Wood Shutters. 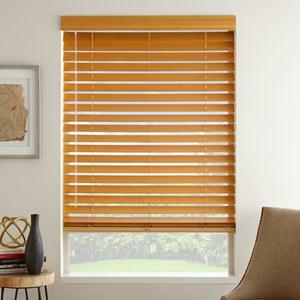 But if you’re looking for a more modern, streamlined look with your window treatments, we have those, too. Instead of a visible tilt bar in the middle, the tilt bar is hidden in the back. So you still get full functionality, but with a more contemporary, clean style. You have three basic options when it comes to hinges. You can choose brass, steel, or hinges painted to match the color of the treatments. These options let you customize the look of these treatments so they complement your style perfectly. If you’re looking to make a design statement, opt for brass or steel hinges. But if you want a cleaner look, your best bet is to choose hinges painted to match the color you chose. Ready to order? Start with these measuring instructions. Once you have your measurements ready, you can start customizing your dream window coverings. Trust us; your windows will never look better!